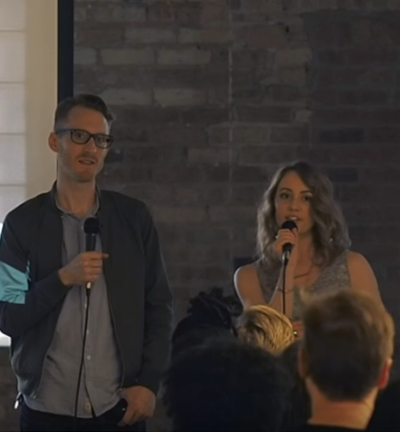 Anne and Steve Truppe, married couple and the team behind Tru Studio, spoke at the 53rd gathering of the Chicago chapter of CreativeMornings, May 2016. 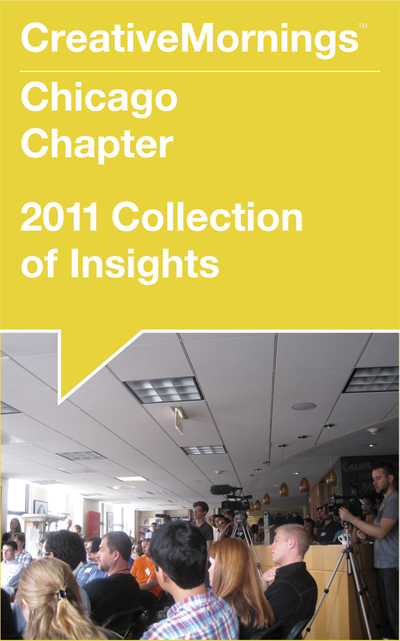 Tru Studio is a Chicago-based photography and video agency that works with both commercial and advertising clients. Their work is distinguished by capturing truly authentic moments from their subjects through language (aligning to the client and their project), lighting (utilizing natural light as much as possible, if not available, mimicking it) and the lens (maneuvering in the rapid decision-making zone behind the camera). During the Q&A, someone asked the Truppes how they acquired their first client. Steve said it was due to a relationship that developed over a couple of years. This anecdote reminded me of a relationship’s nature and stature, drenched in history—especially good relationships. If a relationship is bread, then time is yeast. Relationships take time. They demand it. With good relationships, these do take their damn time. The Truppes’ chosen livelihood, from its origin to its present state, remains a turbulent trip of emotions and attempts. Because there is always so much to do. So much to face in realizing something, in maintaining the ratio of trying and succeeding. Relationships are critical in the process. They’re a means to an end. They provide a coping mechanism. Families, friends, colleagues, vendors and clients. Each plays a part in making a career the ultimate life. Relationships with tools (and their relationships with their users) included. Like people, tools also achieve the patina of use over time. The Truppes desired the kind of work to grow into a life-long career. As their journey demonstrates and evolves, the best relationships survive the long-term. Big thanks: to Braintree, Digital Intent (Host), Green Sheep Water, Lyft, for being Partners of Chicago CreativeMornings #53; to organizers Kim Knoll and Kyle Eertmoed who both spoke at Chicago CreativeMornings #7; to the team of volunteers for greatly helping to have CreativeMornings happen monthly in Chicago.